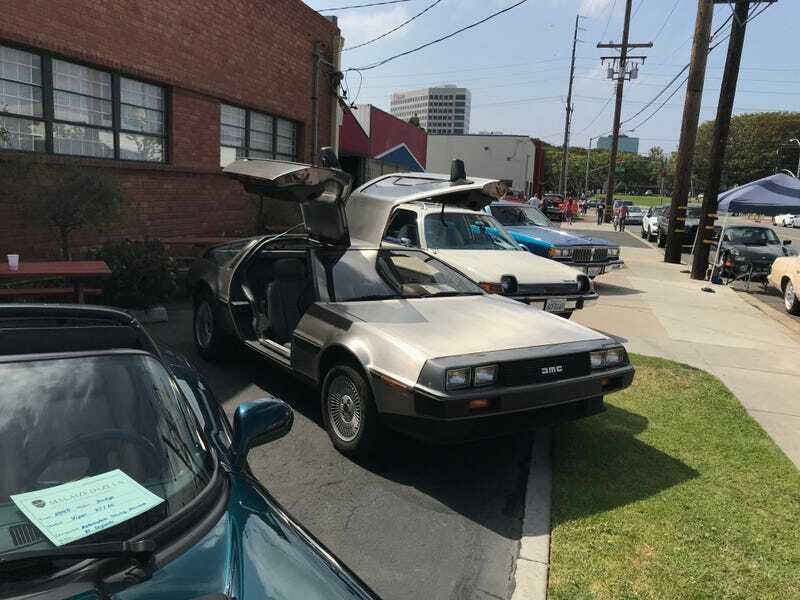 The Automobile Driving Museum in El Segundo hosted a Malaise Era only show a few weeks ago and it was a pretty fun gathering. A few real surprises. And the museum has a really cool collection, too. My dad always wanted a Corniche convertible. These were the top of the heap for the Malaise Era. I always wanted an Eagle because they’re just so cool. AMC pioneered matching comfort and style with 4X4. A very sweet Pulsar NX in Sportbak mode. This Ford EXP may have been the star of the show. This car was like new. It’s mind boggling. This 1972 Dodge Charger Special Edition is what happened when the Muscle Car Era collided with the Brougham Age. The Pacer X was just a trim package, but you did get that sporty steering wheel, groovy buckets seats, and those sweet decals. 1977 AMC Pacer Wagon. This was the first year for the wagon. The museum is kind of hidden away in an industrial area near LAX. I had never been before and was impressed with the collection which has some pretty interesting cars. 1914 Saxon Model A. Saxon built nicely equipped, and well made economy cars in Detroit from 1914 until 1923. 1940 American Bantam Roadster. American Bantam took over the American Austin company in 1934 and built these from ‘36 to ‘41 when they stopped production to build the first Jeep prototype. 1904 Schacht Auto-Runabout. Built in Cincinnati, and powered by a 10 horsepower 2-cylinder air-cooled engine. Schacht apparently switched to trucks in 1914 and closed its doors in 1940.